Call 702-472-9859 to schedule your first appointment. If you live in Las Vegas and have considered getting hearing aids, you're invited to visit the Miracle-Ear® hearing aid center where we offer a wide variety of products. Our experienced hearing care specialists can help you find the best match for your needs. As we realize that many new customers often are unsure of how hearing aids might feel in their ears or work in different situations, we'd be happy to give you an overview of our hearing aids and to answer any of your questions. We've built ourselves into America's most recognized brand of hearing aids, and our network includes over 1300 locations nationwide. So many customers trust us as their hearing aid provider in large part because of our dedication to their well-being. We’ve carefully designed our hearing aids with our GENIUS™ Technology with the modern customer in mind. These hearing solutions can be fine-tuned with a GENIUScontrol app* on an Apple® iOS® or Android™ smartphone. Some models can connect with Bluetooth® devices, and all of these types of hearing aids use cutting-edge innovations. Even with all of these technological advancements, these hearing aids are easy to use and come in small, discreet styles. Being one of the almost 36 million people in America with some degree of hearing loss† doesn't mean that you have to constantly strain to hear others and miss out on important parts of conversations. Come visit Miracle-Ear to discover and experience the Miracle-Ear advantage. We're a leading provider of hearing aids in Las Vegas, NV, and we look forward to serving you. I have been helping people with their hearing healthcare for 13 years. After retiring from the Air Force, I knew I wanted to be apart of a profession that allows me to help others. I am an A.A.S. Board Certified Hearing Instrument Specialist - NV Lic. #387. I am also a member of the Nevada State Hearing Society. I enjoy the connection I make every day, with every patient... their life stories are important to me. My biggest satisfaction as a Miracle-Ear Hearing Instrument Specialist is watching my patients eyes widen as they experience clearer Hearing for the first time in years, even decades! When you are searching for a hearing aid specialist many people feel it is a daunting task. When you find the right specialist you know you have made the right choice. 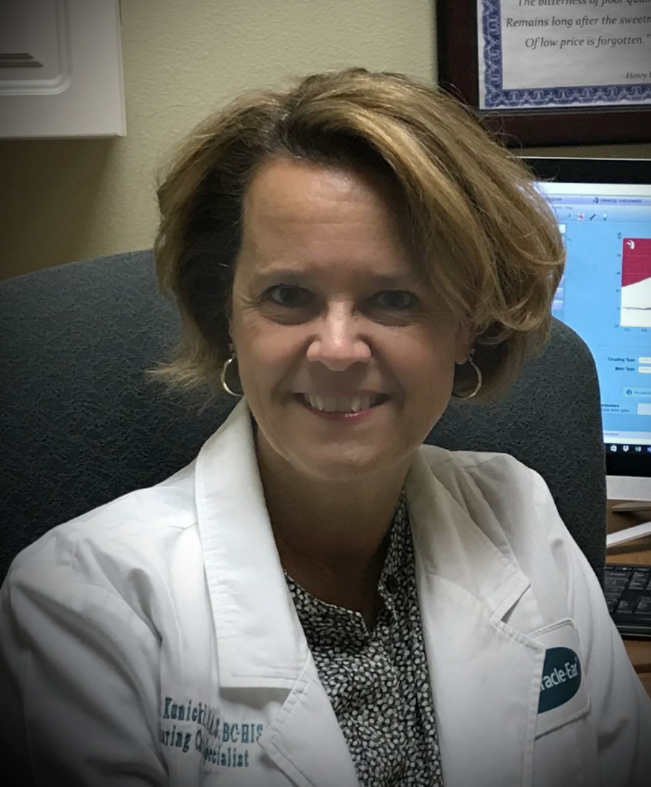 See why so many people in Las Vegas have found Laura Jeziorski, Doctor of Audiology and Hearing Aid Specialist, to be the perfect fit for them. Dr. Jeziorski is a skilled hearing aid professional, having worked with Miracle-Ear since 1999 and has provided the perfect fit for her patients. Dr. Jeziorski believes she is here to help patients maintain their quality of life by connecting with loved ones, specifically and simply, to HEAR! She accomplishes this by performing advanced diagnostic hearing evaluations, providing affordable and high quality hearing aids custom fitted to an individual's needs, as well as giving superior customer service. "Miracle-Ear is the leader in the hearing aid industry, transforming and enhancing relationships in Las Vegas and beyond . . . this is the reason I have stayed with Miracle-Ear for over a decade and will continue to provide my patients with the best care possible!" Read More About Laura Jeziorski, Au.D. †National Institute on Deafness and Other Communication Disorders. Apple® is a trademark of Apple Inc. iOS is a trademark or registered trademark of Cisco in the U.S. and other countries and is used under license.